GlakoLens is a medical devices company developing innovative biosensors based on proprietary technology, first of which is a non-invasive continuous intra-ocular pressure (IOP) monitoring device. The company’s strategy is to focus on introducing a single, state-of-the-art product at a time. GlakoLens was co-founded as a technological spinoff from the Boğaziçi University (BosphorusUni) in 2017 by three distinguished academicians conducting research on biosensors, integrated circuits, MEMS and electro-optical systems. They have been working together for more than a decade and have successfully completed several international collaborative R&D projects. Founded by the members of a research group at Boğaziçi University and led by Prof. Günhan Dündar, Dr. Arda Deniz Yalçınkaya and Dr. Hamdi Torun, Glakolens is advancing a novel non-invasive continuous intra-ocular pressure (IOP) diagnostics and monitoring device based on proprietary technology licensed from Boğaziçi University. The company’s strategy is to focus on introducing a product to address specific needs in ophthalmology where there is a need for viable products. Glaucoma affects over 70 million people worldwide and over 12 million in the EU alone. The most prominent and stealthy form of it, namely open-angle glaucoma, is mainly caused by chronic ocular hypertension. 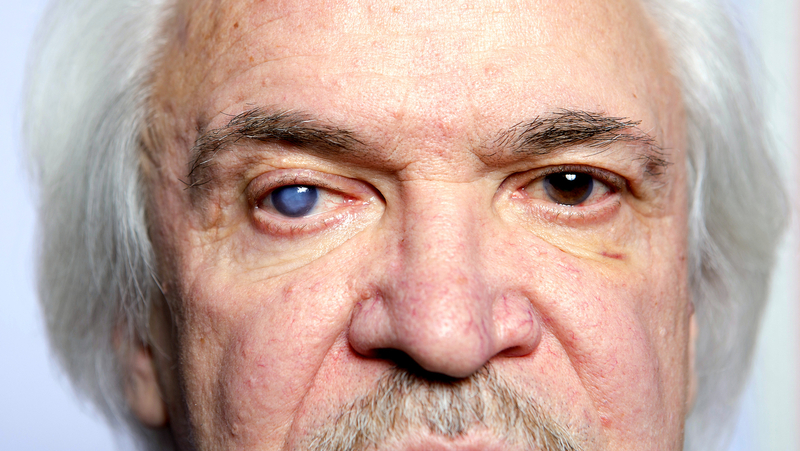 Ocular hypertension is the physiological condition of elevated intraocular pressure (IOP). Glaucoma management relies heavily on IOP measurements and their accuracy. Conventional methods used to diagnose high IOP, monitor the progression of glaucoma and create treatment algorithms depend on a single IOP measurement conducted at the clinic with a tonometer. However, single point IOP measurements lead to decreased diagnostic accuracy and limited therapeutic success. The spinoff is developing a state-of-the-art non-invasive biosensor platform with proprietary technology that will enable continuous IOP monitoring for 24 hours. Its innovation is comprised of an electrically passive sensor embedded in a comfortable disposable soft contact lens, and a wearable electronic system to take non-contact measurements from the sensor and to store the data. The placement of the disposable contact lens sensor and the wearable electronic system are carried out by trained medical staff in the clinic. The patient wears the products for 24 hours and returns to the clinic the next day, where staff download the IOP data from the device and deliver the results to the ophthalmologists for evaluation. Armed with the information on the daily pattern and values of IOP, the ophthalmologists will be able to accurately evaluate the condition of the patient with a single test and rapidly devise a successful treatment algorithm to manage the progression of the disease and prevent vision loss. By enabling early diagnosis and monitoring of ocular hypertension and glaucoma conditions, our product will help to maintain the quality of life of the patients and reduce the vision loss induced substantial economic burden. GlakoLens IOP sensor is based on the principle of resonant frequency shift of a metallic resonator with meta-material properties under mechanical stress. This is a novel approach to accurately monitor fluctuations in IOP by measuring changes in the geometry of a sensor placed on the cornea. The data is collected wirelessly by transmitting a very low power RF signal generated by a light-weight Holter-monitor-like device comprising an electronic circuit and a custom design wearable antenna. In addition, Glakolens raised €465k in seed funding. ACT Venture Partners made the investment. The company will use the funds to focus on further refining, testing and then certifying the technology.